The success of a garden is normally identified by plentiful crops of tomatoes and squash or the beautiful display of vibrant thriving flowers, shrubs or trees. However, a school garden's true success is dependent on the rich experiences and education students receive. 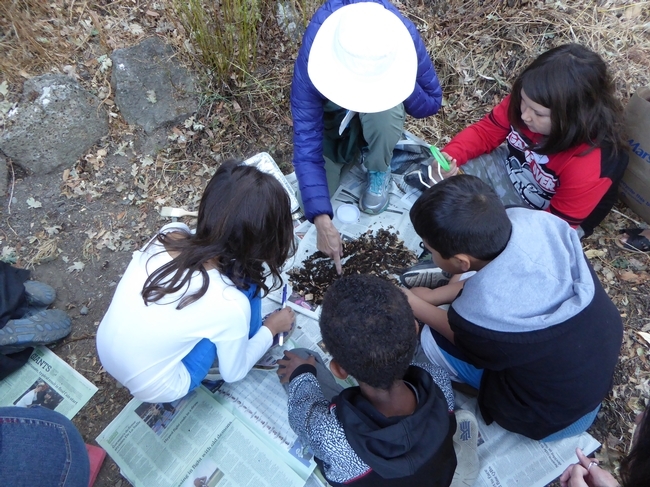 School gardens can play a big part in supporting a child's education outside of the traditional classroom environment; offering hands-on learning experiences in a variety of core curricula. Social sciences, language arts, nutrition and math are just a few of the many subjects that can be easily integrated into the school garden curriculum. 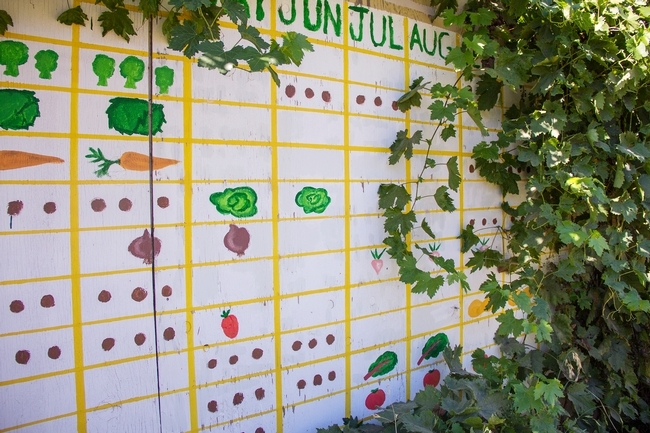 When paired with nutrition education, school gardens can transform food attitudes and habits. “Dig it, Grow it, Eat it” starts with University-trained UC Master Gardener volunteers training school educators. 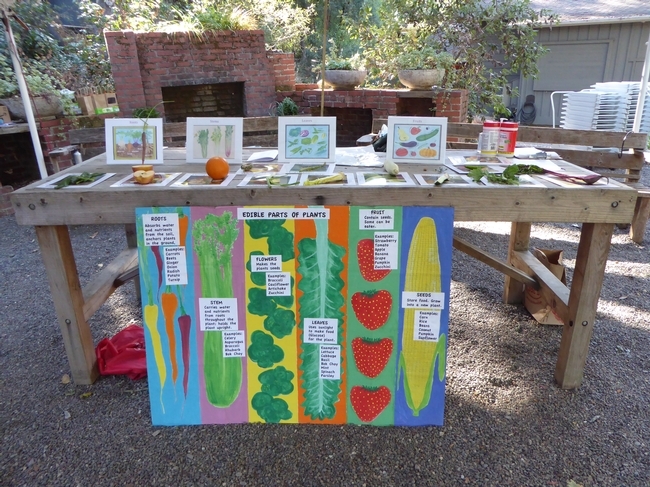 Once trained, educators use the curriculum to teach students how to grow edible plants from seed to harvest. 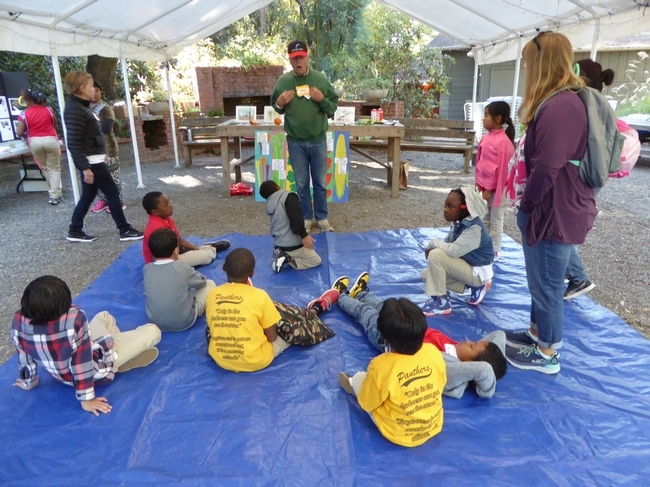 UC Master Gardener volunteers help deliver the curriculum and provide additional resources. Students learn how plants grow, and receive nutrition lessons to give them a better understanding of the human body's need for healthy food. The “Dig it, Grow it, Eat it” curriculum is centered on the theme “We love the earth because we care for it. We care for the earth because we love it.” For many children, getting their hands dirty in the garden and discovering the science of growing their own food brings a sense of joy and pride they can carry with them for years to come. The UC Master Gardener Program extends to the public free UC research-based information about home horticulture and pest management. 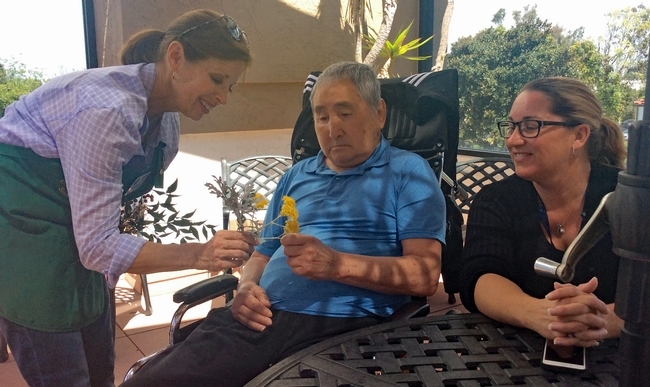 In exchange for the training and materials received from the University of California, UC Master Gardeners perform volunteer services in a myriad of venues. If you are interested in becoming a certified UC Master Gardener contact your local UC Cooperative Extension office or visit mg.ucanr.edu. Birds are chirping, the sun is shining and flowers are in bloom – it is time to get out into a garden and enjoy nature's beauty. 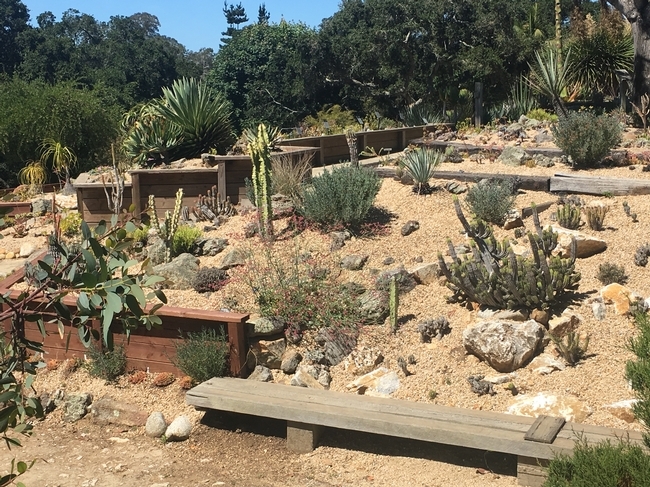 UC Master Gardeners have been working hard to bring demonstration and community gardens to life across California, and volunteers are eager to teach how you can create sustainable splendor in your own landscape. UC Master Gardener demonstration gardens offer knowledge and examples on how to grow a variety of plants in your garden. Visit one today and be inspired! Be inspired. Visit a garden that has the power of the University of California and the UC Master Gardener Program behind it. 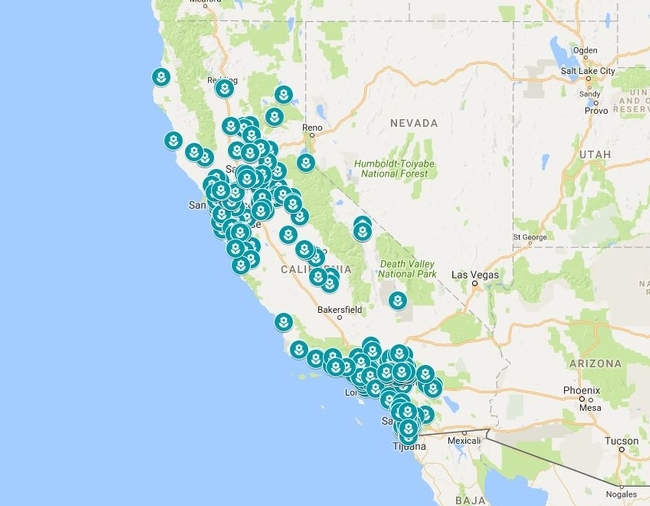 With thousands of volunteers, hundreds of demonstration, school and community gardens across California and programs in 50 counties plus Lake Tahoe basin it is easy to discover the joy of gardening in your community. 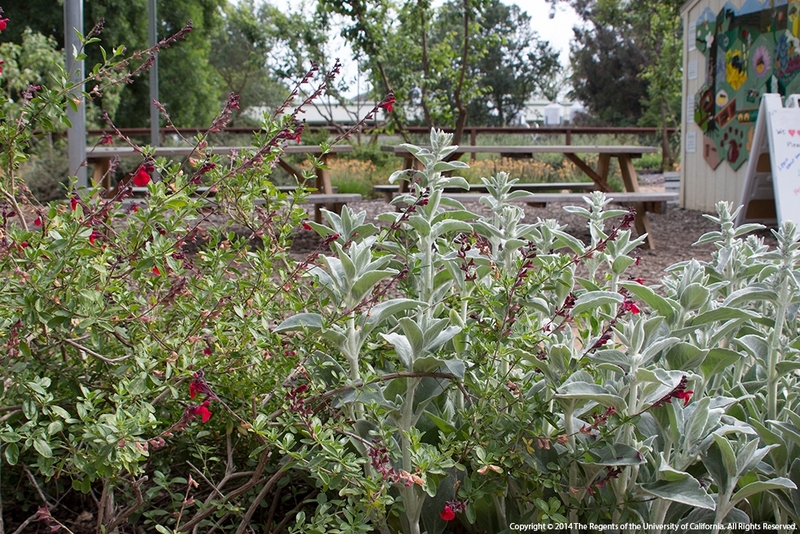 UC Master Gardener demonstration gardens showcase best practices for garden management from plant selection to ground covers and irrigation. 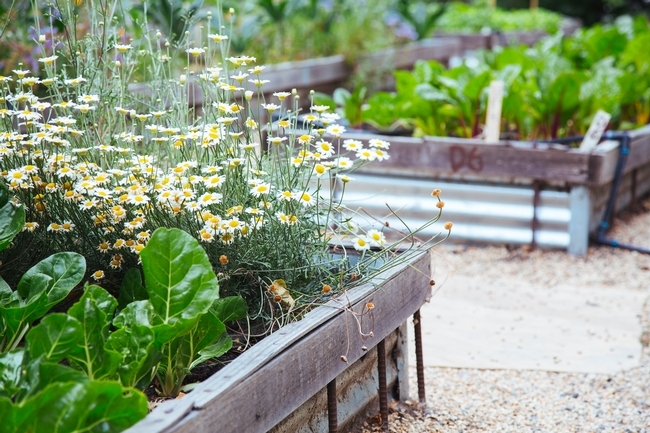 Demonstration gardens can appeal to everyone as they often include multiple themes like bumble bees, growing veggies, historical roses and low water–use plants. Whatever your interest, you'll be sure to take something away from your visit to one of the many gardens across California. Find a location by visiting the UC Master Gardener Program garden map: http://bit.ly/2qqWRM4. For more direct educational opportunities, attend a gardening workshop hosted by local UC Master Gardener Program. Workshops are free or very low cost and cover a vast array of gardening topics. 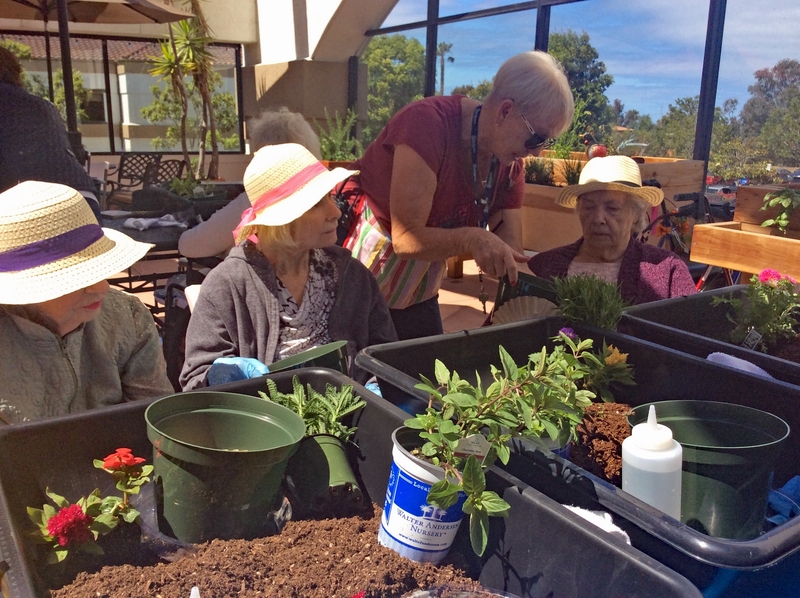 To find a UC Master Gardener event in your area, visit: mg.ucanr.edu/Events. As you plan your summer travel, consider attending a workshop or event where you are vacationing. The UC Master Gardeners of Orange County are teaching the power of perennials on May 20, UC Master Gardeners of Santa Barbara County will present at the Santa Ynez Valley Earth Day celebration May 21, the UC Master Gardeners of Tuolumne County will have a Kids' Day in the Garden on June 3 … and so many more events to choose from! “Attendees at workshops, classes and on demonstration garden tours can expect to hear from gardening experts in their local community. UC Master Gardener volunteers have been trained by UC scientists to become a 'master' in the garden and are proud to share their expertise and knowledge with an inexperienced gardener or an industry professional,” said Missy Gable, UC Master Gardener Program director. UC Master Gardener volunteer Lauren Hull stops at a local community garden in Davis, Calif. and helps harvest blackberries for the resident chickens. Whether your landscape needs a total overhaul, a few new plants or nothing at all, the knowledge and new ideas gained from workshops and demonstrations gardens is inspiring. Invite bees, butterflies and hummingbirds into your life by adding pollinator friendly plants to an existing landscape. Become more water-wise by adding mulch, changing out sprinkler heads and replacing high water user plants. 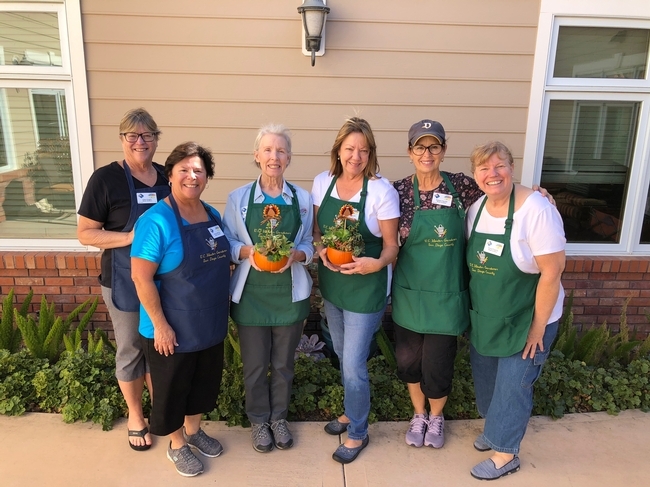 Continue growing as a gardener by staying connected with your local UC Master Gardener Program, and stopping at demonstration gardens throughout the state. 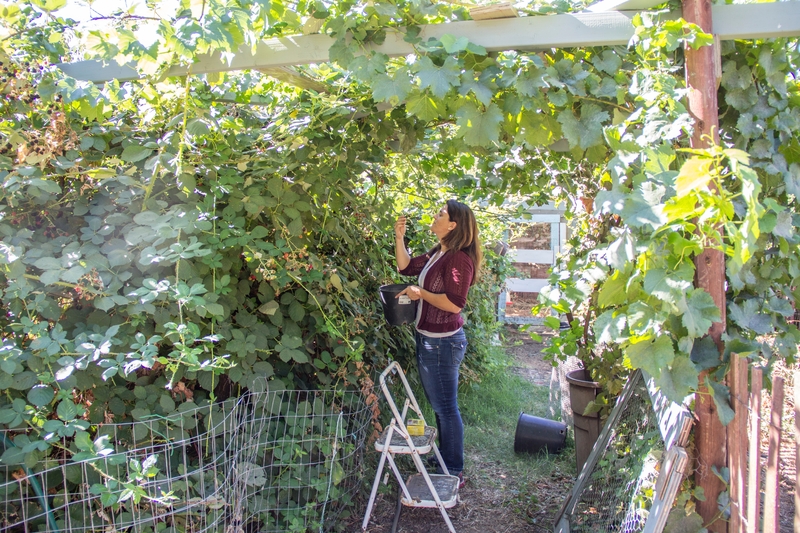 The UC Master Gardener Program extends to the public free UC research-based information about home horticulture and pest management. 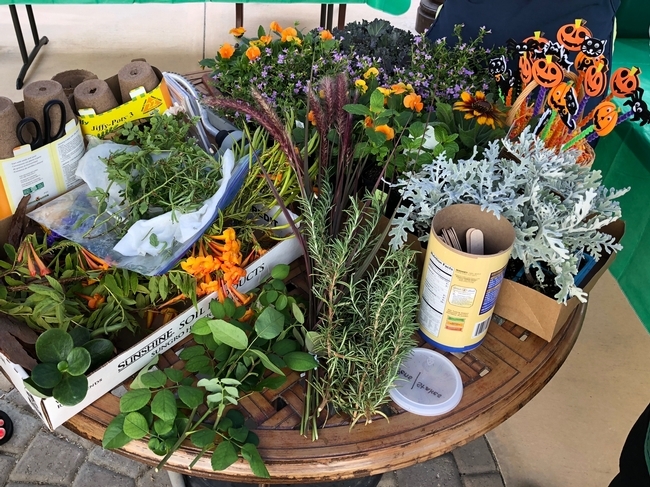 In exchange for the training and materials received from the University of California, UC Master Gardeners perform volunteer services in a myriad of venues. If you are interested in becoming a certified UC Master Gardener contact your local UC Cooperative Extension office. 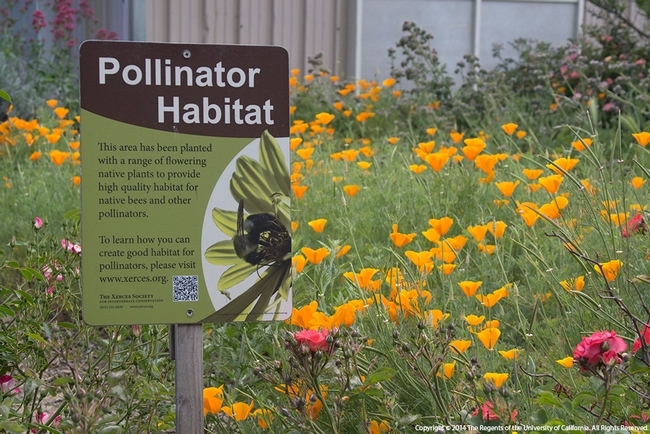 California's agriculture, plants and wildflowers depend on bees (and other pollinators) for pollination. Tiny, buzzing bees are not only fun to watch zoom around the garden, but they are crucial to our food supply and ecosystem. Learn the seasonality of plants and bees. Bees need both pollen and nectar resources from plants all year long. Sugary nectar provides energy for adult bees, and protein-rich pollen is used to feed their young. Plant not only a variety of plants (to ensure both pollen and nectar resources) but also make sure that they bloom at different times throughout the year, with the most active times of bees in garden running from February to October. Provide a diversity of floral hosts. A large variety of plants in a garden attracts a more diverse bee population. UC ANR researchers recommend planning a minimum of 20 different plant types to provide plenty of nectar and pollen sources for bees. If space or resources don't allow, consider plants that provide both nectar and pollen resources such as seaside daisy (Erigeron glaucus), blanketflower (Gaillardia x grandiflora), thyme (Thymus vulgaris), and coneflower (Echinacea purpurea). Give structure to the garden. When planning your garden arrange plants so it is easy to observe the bees that are visiting your landscape. 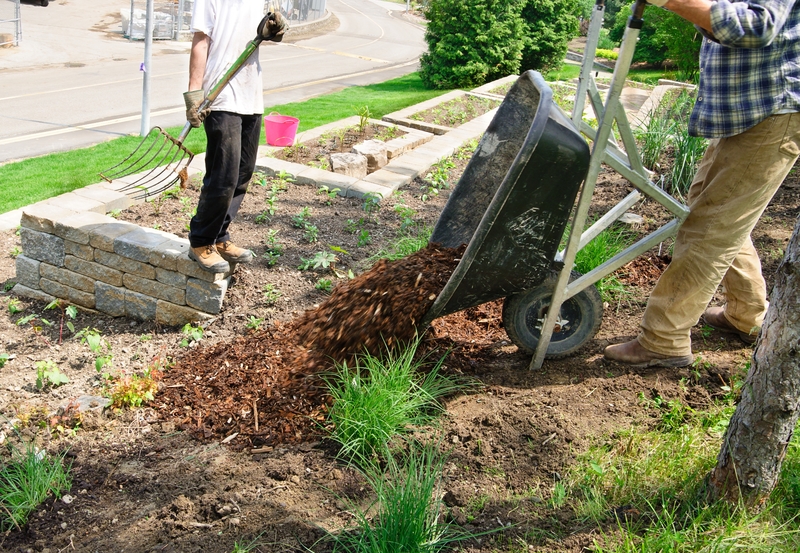 Place taller plants or shrubs in the back and smaller or shorter plants in the front. Or you can plant in the shape of an island to allow viewing from all sides. Typically bees prefer flowers in the sunshine over the shade. Monitor the amount and location of sun in your home landscape and plant sun-loving bee-attractive plants in the sunniest section of your yard. Plant shrubs, perennials and annuals in patches. Most bees will visit one type or a few types of flowers each time they forage, an abundance of the same flower variety allows for more efficient foraging for bees. The California Bee-Friendly Garden Recipes publication recommends a 3.5 ft x 3.5 ft flower patch of the same variety. Don't forget to seed annuals. Plant seeds for spring blooming annuals and bulbs in the fall and take advantage of the winter rains and provide beautiful flowers in the spring. Great options include sunflowers (Helianthus annuus), Mexican sunflower (Tithonia diversifolia), California poppy (Eschscholzia californica), and zinnia (Zinnia elegans). Prolong a plant's blooming season by dead-heading. As soon as flowers begin to fade, wither and brown, pinch or cut-off the flower stem below the flower or right above the first set of healthy leaves. This allows the plant to continue to invest in producing more blooms and not seeds. Regular watering of plants during blooming season allows plants to produce more flowers for a longer period of time. If a plant is water stressed it won't produce new flowers and nectar and pollen production declines. Consider plants that thrive in California's dry Mediterranean climate, UC Berkeley's Urban Bee Lab offers a list of the best bee plants with a large selection of California native options. Applying pesticides to your home landscape can kill beneficial insects and bugs visiting your garden, including bees. Consider using integrated pest management practices that are natural or organic methods like hand-picking, spraying with water or natural insecticides. Contact your local UCCE Master Gardener Program to learn more about integrated pest management. Consider right plant, right place when selecting plants for your home landscape. Most gardening books, websites, plant labels and seed packets refer to a plants hardiness zone, climate zone or growing zone. Become familiar with the climate or microclimate in your area, the USDA Plant Hardiness Map and the Sunset Zone Map are a great starting guide for determining what plants will thrive in your garden space. Provide homes for nesting bees. A bee-friendly garden provides cover and a safe place for bees to raise young. Most bee habitats are either in the ground or in pre-existing cavities. Provide a nesting home for bees in your garden by leaving a small section of your landscape unmulched for ground-nesting bees. Nesting blocks, drilled holes in untreated wood or “bee-condos” can be offered to bees that prefer a pre-existing cavity habitat. Provide nesting materials, including a water source. Bees build their nests with mud, plant leaves and resins. Bees require a water source to not only drink but also to make mud for nest building. Fill a shallow water dish or birdbath to your garden, add small rocks or a floating cork for bees to rest and to prevent drowning. Learn about some of the 1,600 native bees in California at UC ANR's Native Bee Workshop, Saturday Sept. 17 at the Hopland Research and Extension Center. Attendees will learn from Dr. Gordon Frankie and Dr. Rollin Coville, UC Berkeley's Urban Bee Lab, how to identify bees and meet the needs of bees in the garden. Interested in learning more about how to grow a buzzing bee-friendly garden? The UC Master Gardener Program has University trained volunteers who are eager to help. Volunteers are available to answer questions about preparing your soil, plant selection, pest management, and more. With local programs based in more than 50 counties across California and thousands of workshops a year there is sure to be an event or class near you. Visit our website to find your local UC Master Gardener Program, mg.ucanr.edu.